The sounds from the construction site quieted down, and Oodi became filled with joyful guests when the building held its very first celebration – a topping out ceremony – on 22 May. 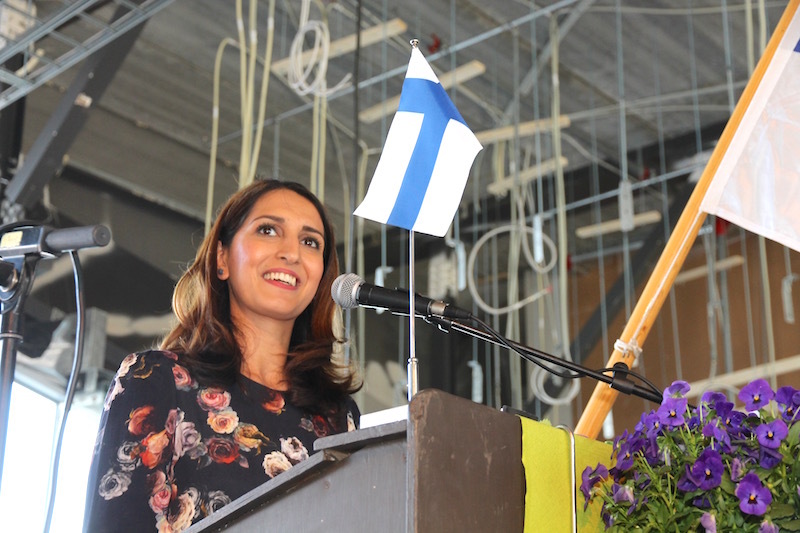 The building and its builders were praised profusely, first by Helsinki’s Deputy Mayor Nasima Razmyar in her opening speech, then by others in their orations and finally through the reactions of residents when the public was able to visit the building for the first time on guided tours. 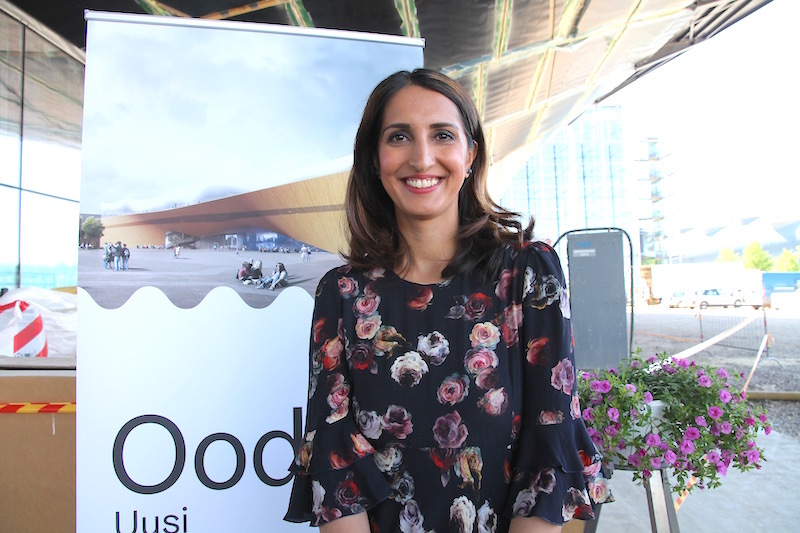 Deputy Mayor Nasima Razmyar pointed out how rare it is to be able to build in such a central location. Oodi joins the group of cultural buildings located in Töölönlahti, at the heart of Helsinki. The builders have left their mark in the history of Helsinki and Finland. 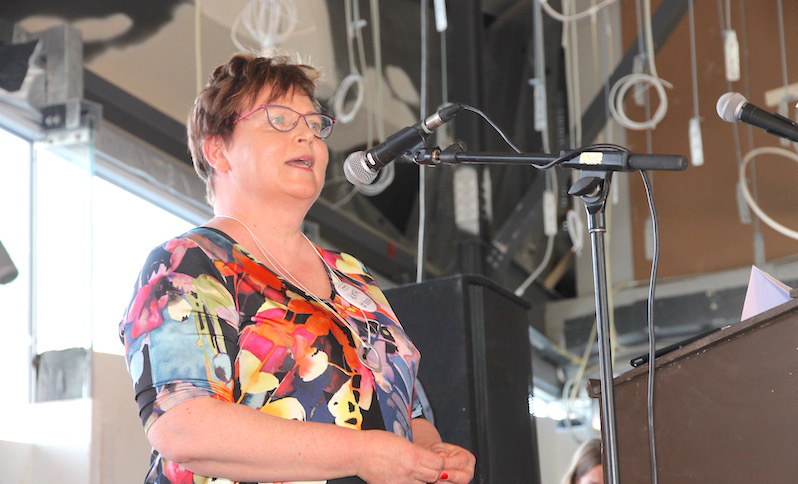 “The residents of Helsinki have hoped for places of activity, learning and participation,” said Oodi’s Director Anna-Maria Soininvaara. The building will be full of life, as crowds will be drawn in by a multitude of events and event series, among other things. The building is expected to attract 10,000 visitors per day. Soininvaara stated that the building was unique not only in terms of its functions but also in its shape and location. It has an exciting link to another building that represents democracy in the form of a balcony that reaches towards Parliament House. “Where an invisible bridge exists between the balcony and Parliament House, a concrete bridge structure can be found inside Oodi. 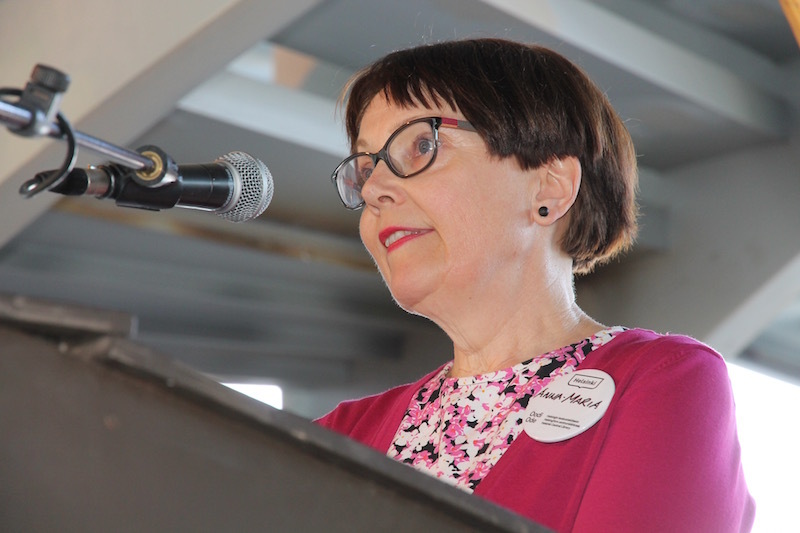 So we’ve all ended up under a bridge,” joked the City of Helsinki’s Director of Library Services Katri Vänttinen, who acted as the master of ceremonies at the event. Quality and safety are now emphasised in a completely different way in construction sites than in past decades. 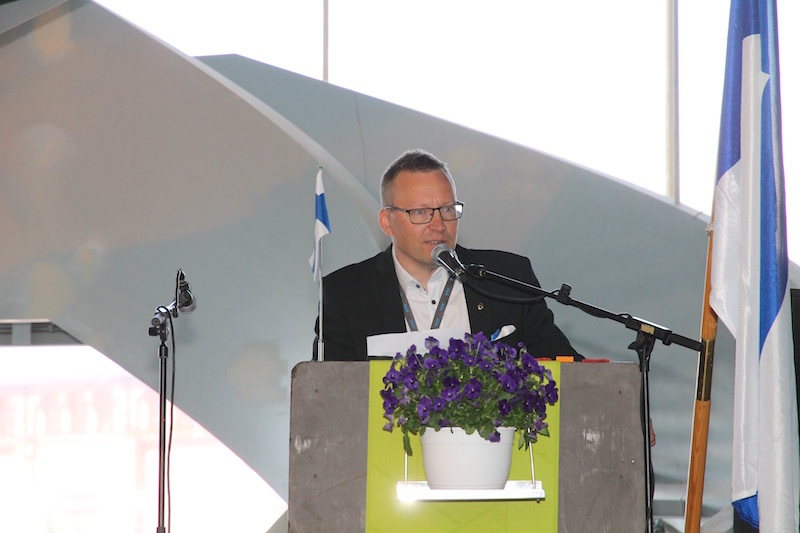 According to YIT’s Senior Vice President of Business Premises Kari Alavillamo, this is because of tightened regulatory requirements, improved training in the construction industry and increasing attention being paid to monitoring at construction sites. Quality and safety have also been emphasised in the construction of Oodi. Site Manager Mansoor Ardam (on the left) from YIT and builders who only a moment ago were working on the third floor ceiling listened to the praise in high spirits while waiting to be served pea soup. 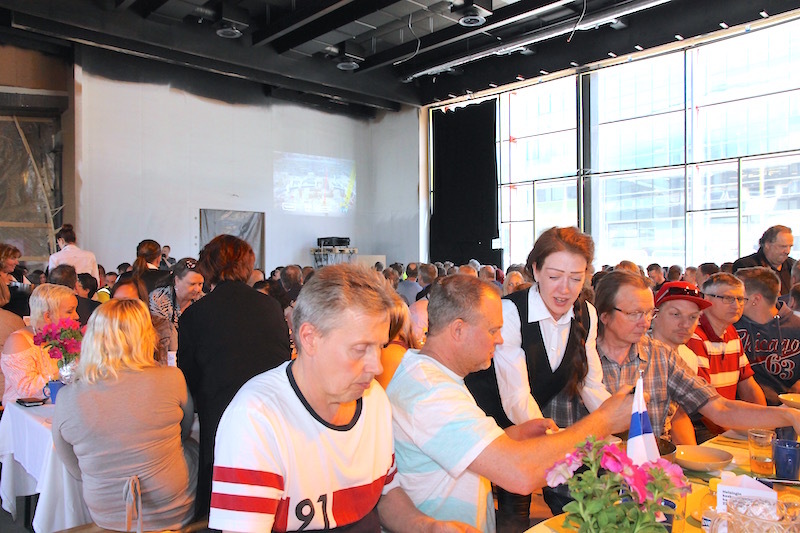 While the meal was being served, the guests had the opportunity to watch a time-lapse video of the building’s construction from the foundations to roof height, projected on the back wall. The long tables were set where a multipurpose hall would be built. 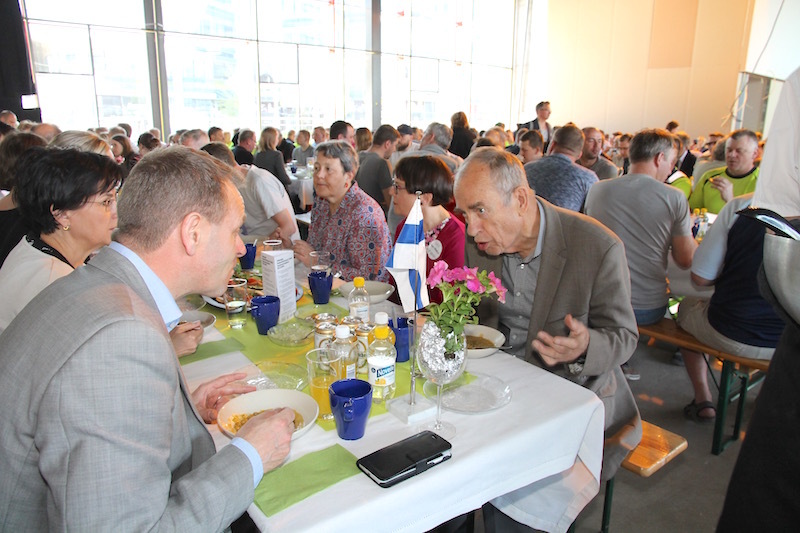 Mayor Jan Vapaavuori and writer, politician and movie director Jörn Donner engaged in a lively discussion while spooning up their pea soup. 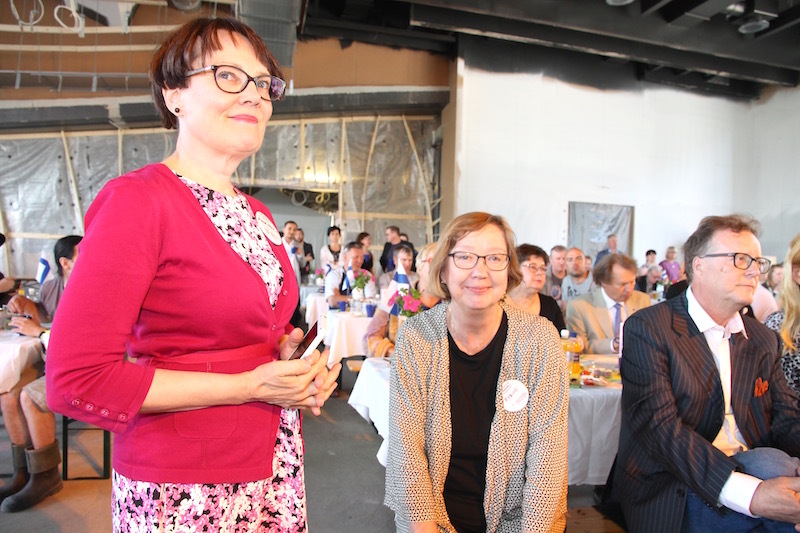 To the right from Donner are Oodi’s Director Anna-Maria Soininvaara and Cultural Director Tuula Haavisto of the City of Helsinki. 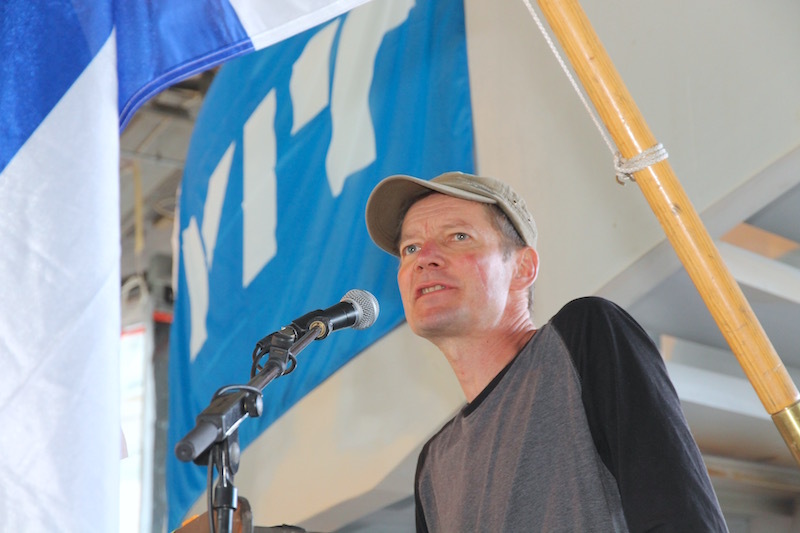 Writer, director, dramaturge and winner of the Finlandia Prize Juha Hurme even considered libraries to be a road to world peace and mankind’s salvation. 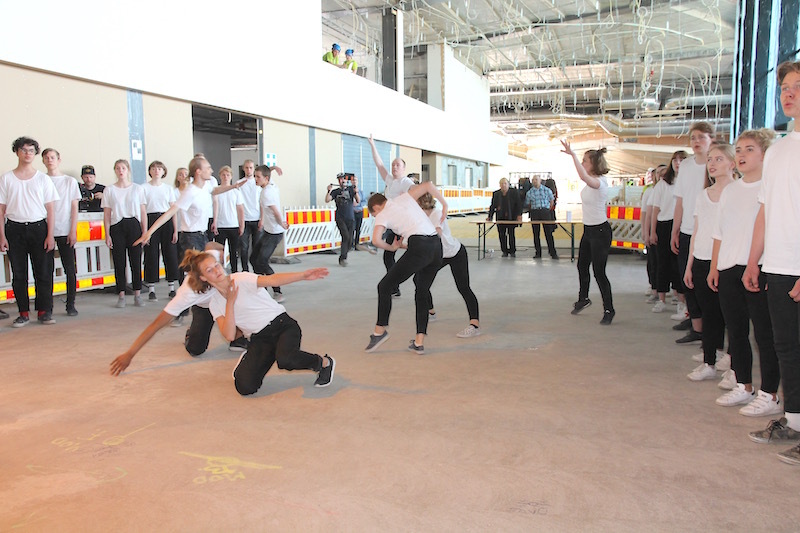 Anna-Maria Soininvaara and Pirjo Lipasti (on the right), who works as the lead designer of Oodi at Helsinki City Library, watched the dance performance and enjoyed the pleasant mood together with Director Matti Lukkarila of the National Audiovisual Institute. The music duo Kalevauva, which has seen a rapid rise in popularity, entertained the audience with funny lyrics that ranged in theme from a snoring cat to a baby-making campaign and living in Vantaa. 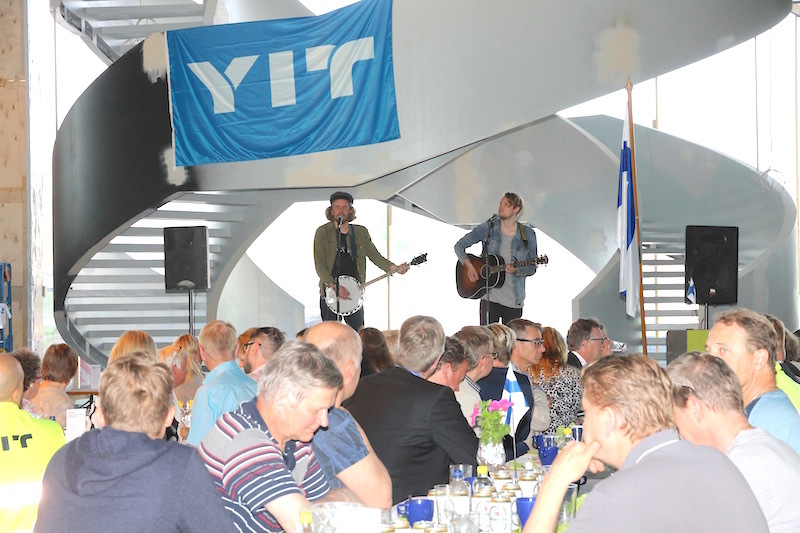 At the end of the event, YIT’s Senior Site Manager Tero Seppänen, Site Manager Mansoor Ardam and Deputy Mayor Nasima Razmyar exchanged a few words on the progress of the construction process and how the builders deserved the praise they had been given. 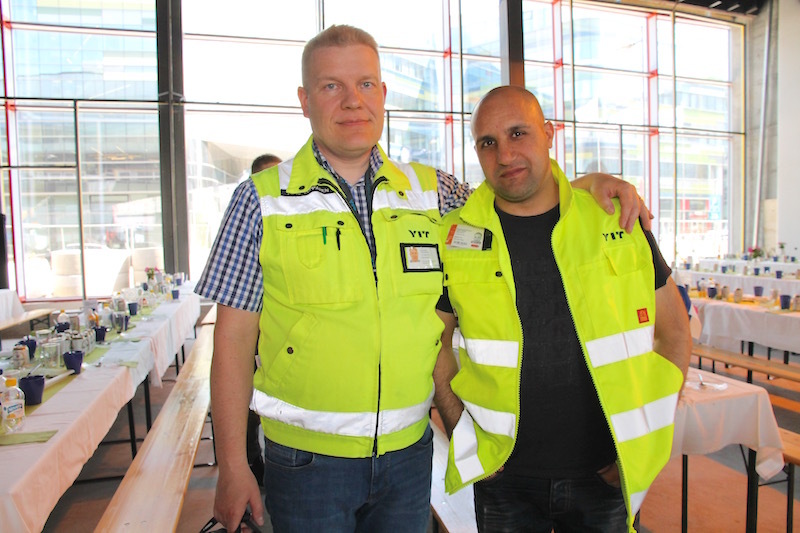 Tero Seppänen and Mansoor Ardam have made sure that the construction process has progressed according to plans and regulations and on schedule. Oodi is roughly 70 per cent finished. Much progress will take place over the course of the summer. “In the summer, we’ll finish putting up the wood battens on the facade and start preparing the yard area. Inside, we’ll make progress on the floor, piping and electrical installations and the third floor ceiling,” says Seppänen. Everyday routines continued immediately after the end of the party. Now we head for the next party, which will be held in December: the opening ceremony!